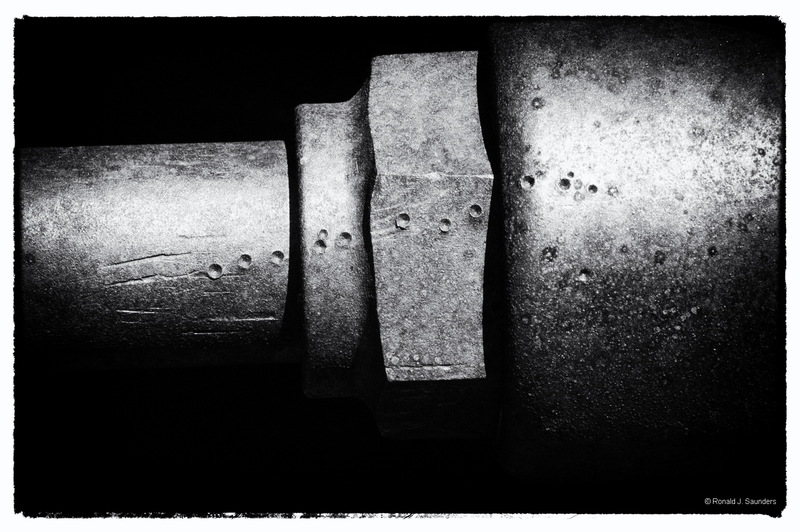 Punch marks in the steel are still clear and distinct on the surface of the steel parts. The marks may have been added by a mechanic to facilitate positions or sequences of assembly. Photo © copyright by Ronald J. Saunders.